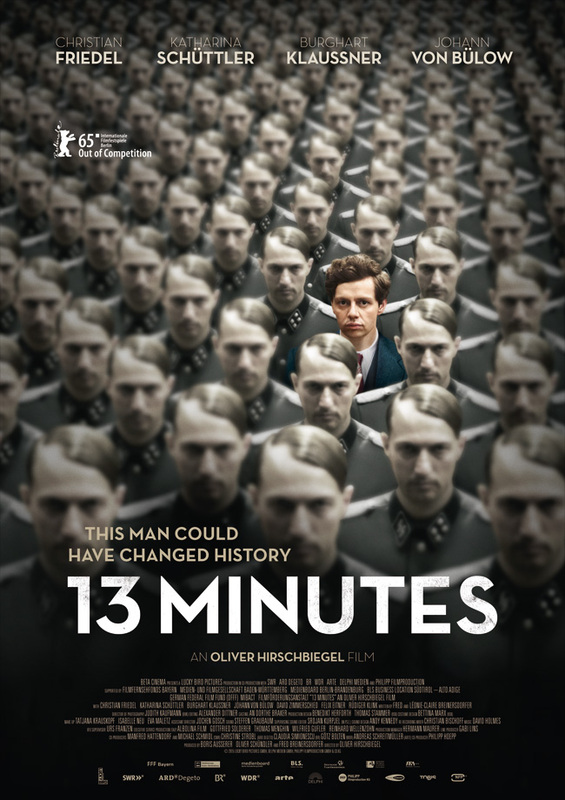 ’13 Minutes’ is a biopic of Georg Elser, a man who came tantalisingly close to assassinating Adolf Hitler in 1939, shortly before the Second World War broke out. The ’13 Minutes’ of the title relates to the length of time that Hitler’s anniversary speech fell short, therefore saving him from the blast meant for him. If you’re expecting a thriller focused entirely around this aspect, this isn’t that kind of film. ‘Downfall‘ director Oliver Hirschbiegel’s return to films about the Second World War after the flop ‘Diana’ is much more interested in Elser as a person, charting his life from about 1932 onwards, providing a parallel with the rise of the Nazi’s and what this meant for Elser and anyone else who did not support the parties motives. This works as both a strength and a weakness – a strength in the sense that we get a greater idea about what made Elser tick and what drove him to take such drastic action, but a weakness in the sense that Elser’s life isn’t overly compelling until we reach the moment that made him famous. After Elser is apprehended, we spend most of our time watching his interrogation and torture, but these sequences don’t resonate quite as strong as I suspect Hirschbiegel intended. Elser is such a closed book at this stage, and as it isn’t until later that the flashbacks illuminate his motives, these scenes don’t feel as interesting or as vital as they could be. Hirschbiegel’s film is a solid attempt to tell a story about a man who could have changed the course of history irrevocably, but in the crowded space of WWII cinema, the film fails to elevate a fascinating story to the heights that you would perhaps be hoping for. Solid enough, but not essential viewing.